Fenway Sports Group, parent company of the Boston Red Sox, has delivered a letter of intent to the Boston Planning & Development Agency outlining new development opportunities in the Fenway neighborhood. The letter provided details of Fenway Park improvements and the company's proposed 5,000-seat Fenway Theater alongside the park. The proposed renovations to Fenway Park include a new function space with sweeping views of Fenway Park suitable for large groups and private events; new concession stands; and restrooms. The interior renovations would modify existing spaces to enable them to be shared between the operators of Fenway Park and the Fenway Theater (including a shared lobby, commissary, loading dock, trash and utility areas). Fenway Sports Group and Live Nation have announced their plans to build a 5,000-seat venue on the corner of Lansdowne and Ipswich streets next to Fenway Park. 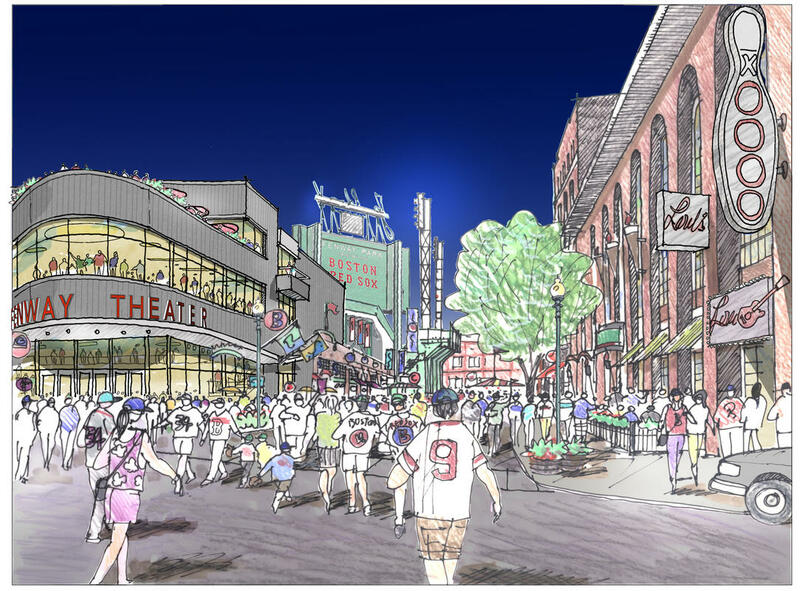 "The theater would host a wide variety of entertainment and civic events on a year-round basis, enlivening the Lansdowne Street entertainment district on both Fenway Park event days and non-event days and providing a steady stream of patrons for the neighborhood's many restaurants and retail establishments," Red Sox executive vice president of business affairs, Jonathan Gilula, penned in the letter. The Red Sox and Fenway Sports Group have further been exploring real estate development opportunities surrounding the Fenway Park in a strategy dubbed "Fenway 3.0". The new initiative would build on the property that the team owns around Fenway Park - which may include air-rights development over the Massachusetts Turnpike. "We've now, over the last year and a half or so, embarked on what we're calling Fenway 3.0, which is trying to figure out the best way to take advantage of the real estate opportunities in the neighborhood," Red Sox President and CEO, Sam Kennedy, explained in an interview with the Boston Business Journal. 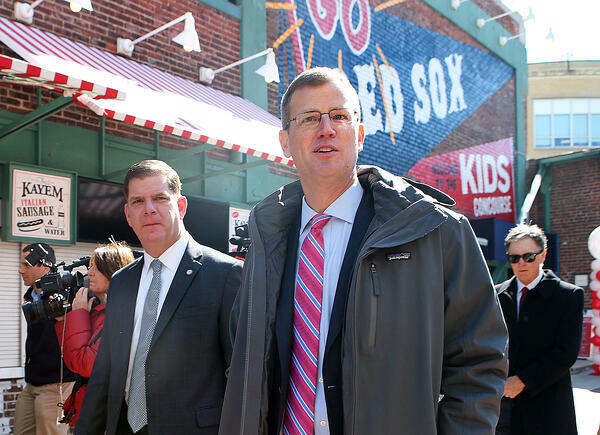 "We think that the Red Sox and the Fenway Sports Group, with some of the parcels that we've invested in, now we should start to turn our attention outside of the ballpark to make sure that we also invest in the neighborhood, to make sure that there's responsible development." The Red Sox and Fenway Sports Club have owned land parcels and property around the baseball park for years. While they currently own development rights on air-rights parcels 8, 9 and 10 over Mass Pike, MassDOT has not yet received any new development proposals. The team is likely in planning stages for development of the air rights projects - which can often be drawn-out and tedious. "Boston is a place where young people want to live, they want to work, they want to come and be entertained" said Kennedy. "This is a place now where about 3.5 million people come each and every year... The Fenway neighborhood has been exploding over the last 10 or 15 years." 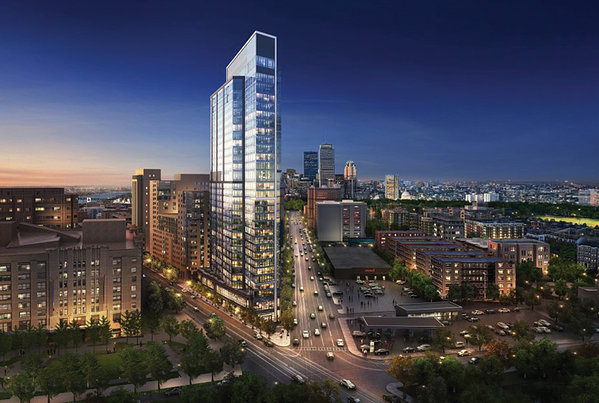 Fenway has seen a massive boom in commercial and residential developments in recent years, with The Pierce Boston and Fenway Center as standouts. While the team has made no formal arrangements with the Boston Planning and Development Agency, there have been high-level discussions with Boston developers to consider what could be built on the property surrounding the Park. While there are no defined timelines as of yet for the Red Sox' and Fenway Sports Group development plans, keep an eye on BostonRealEstate's Crane Watch for further development updates.